Editor’s Note: Each day for a total of ten consecutive weekdays beginning today, Songs of Eretz Poetry Review will be pleased to present “Gateway” by Caryn Mirriam-Goldberg, our Poet of the Month and this year’s Songs of Eretz Poetry Award Contest Guest Judge. One part of this beautiful ten-part poem will be presented each day. “Gateway” was previously published in The Midwest Review. Poet's Notes: “Gateway” is a riff off the Tao Te Ching. Using a translation by Stephen Mitchell, I took lines to use to catapult me into poetry. My friend, the late and great Philip Kimball, used to write what he called “pleasure-isms” – stealing lines from great sources and going to town to see where those lines led him. So maybe this is a pleasure-ism, but for me, it's also a practice in awareness, listening, seeing what words, images and rhythms land, then following them down the road. the stars within stars we can never see. what can we know anymore? as the sidewalk buckles ahead or behind. I dream you say my name twice, first annoyed, then worried. The darkness of our origins wheels over. 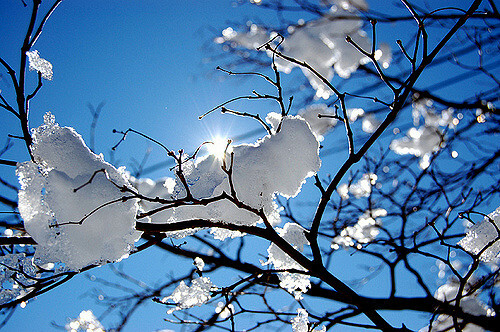 of your today in the melting snow of my time. easy agility, when our hearts tatter in the wind?